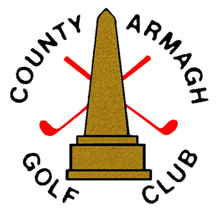 County Armagh Golf Club is one of the oldest clubs in Ireland. It was established way back in 1893. The club is an 18-hole course located in Georgian parkland. It has beautiful panoramic views. Here we will discuss on Armagh Golf Club online booking and membership fees detail. The user also get all detailed information on official website. The County Armagh Golf Course is considered as one of the best courses in the Northern Ireland. Every hole at the course features a different layout which requires a variety of shots and offers a challenge as well as a delight to every golfer. It is a 6200-yard course with the par of 70 and requires a great skill to play shots. The club hosts many amateur as well as professional Provincial and National championships. The club features magnificent surrounding views and relaxing environment. There is a bar over there which serves some wines, cocktails and the best of the pint of Guinness in the country. Currently, there is a membership offer which offers new full membership at £395.00 to men and at £295 to ladies. It doesn’t apply to those who are the member for more than 2 years. There are a separate GUI fees to be paid which is £16.50, £23, £3.50 and £5.00 for men, ladies, a juvenile male, juvenile female respectively. Select the type of booking icon. Click on the button ‘Click Here to Register’. Fill up membership registration form providing necessary detail and then click on ‘Register’ button. Once you have submitted the form, it will be verified and you will receive an email regarding the booking.